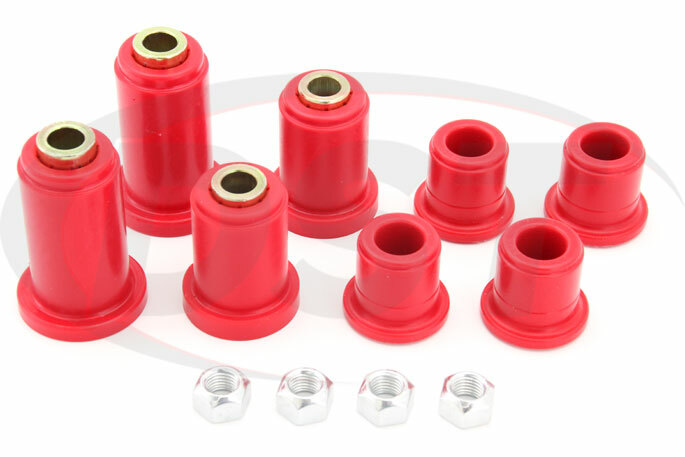 These polyurethane control arm bushings from Energy Suspension will replace the original rubber bushings on your Silverado, Avalanche, or Sierra, keeping your wheels aligned and giving your tires maximum road contact. The part of your tire that connects you to the road is about the size of your hand, so any surface area reduction is pretty significant, right? Well, worn rubber control arm bushings do a poor job of "controlling" your wheel's alignment. This only gets worse as wear and weather take their toll on that rubber, causing that hand-sized contact patch to shrink during a turn. 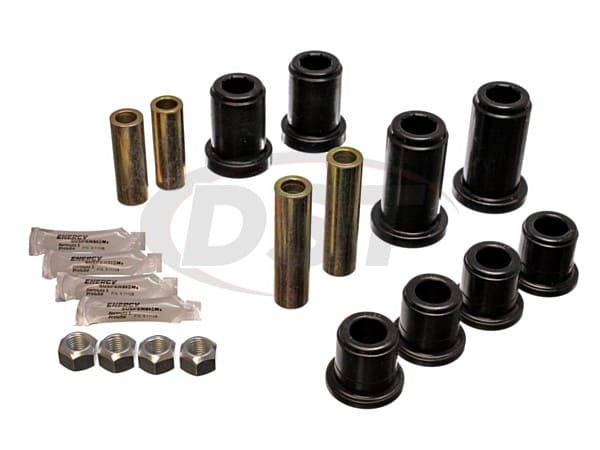 Since polyurethane bushings don' t flex and eventually wear out like those rubber Chevy or GMC bushings your suspension will stay in place much longer meaning fewer realignments. Also, a constant camber will mean even tire wear that translates into fewer replacements. Speaking of fewer replacements, polyurethane will generally last the life of your Silverado, Avalanche, or Sierra, and we here at DST back that up with a lifetime warranty. 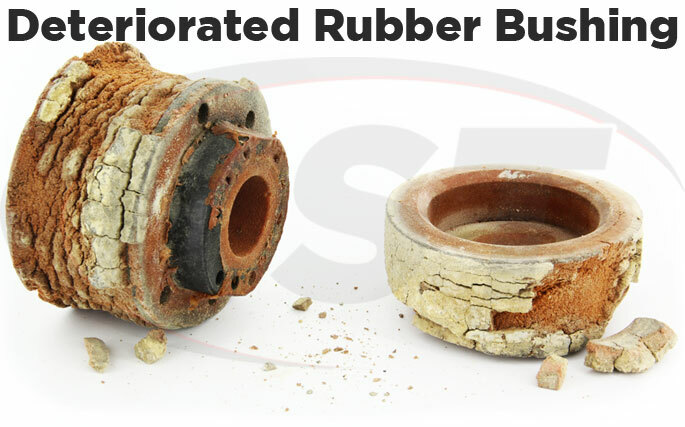 Besides eventually being worn down, rubber bushings can begin to rot over time when exposed to weather, road salts, and some automotive chemicals. 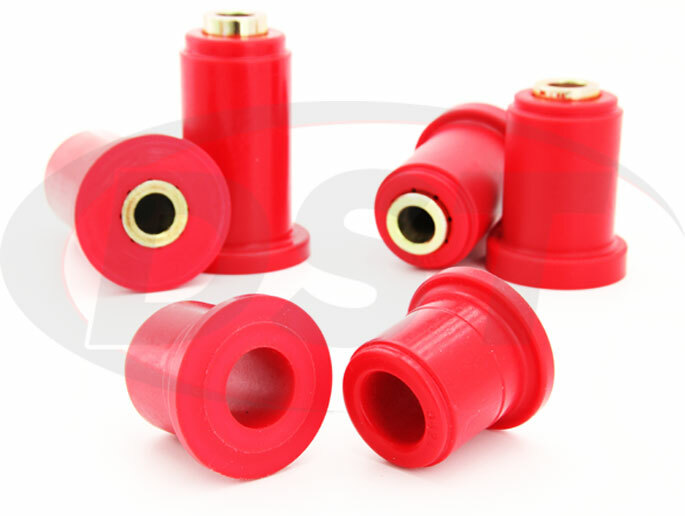 These polyurethane bushings are all but immune to the elements and that combined with the extreme wear resistance makes this one of the longest lasting parts you can put on your Silverado or Sierra. 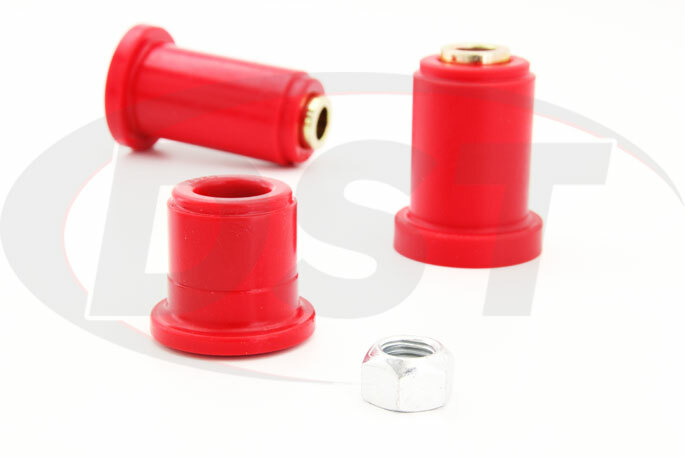 These bushings are halved which allows for easy installation, saving you time in the garage or money at the shop. So if you're looking for a much more durable alternative to rubber, Energy Suspension polyurethane body mounts will still be keeping your wheels aligned long after the originals are decomposing on the side of the road. Came on time, exactly what I ordered. Extremely impressed so far, piece of cake to install! A little difficult to install, but well worth it. The bushings are top notch and would buy again. These were so easy to install, look great and give such a much better ride over my stock bushings. Great job guys. 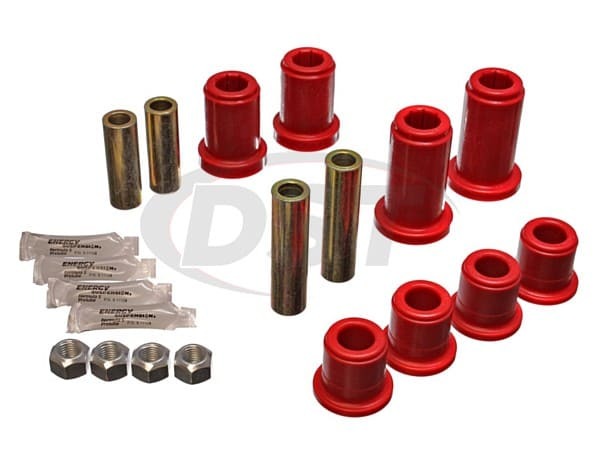 I'm trying to replace the lower and upper bushings on the control arms passenger and driver side will this kit side work? Yes part number 3.3185 will work for your 2002 GMC Sierra 2500hd. Will part number 3.3185 cover my upper and lower control arm bushings? And will I need to order 2 kits to complete both the left and right sides? Yes, part number 3.3185 is for the upper and lower control arms. Also, this one kit will cover both the left and right sides.